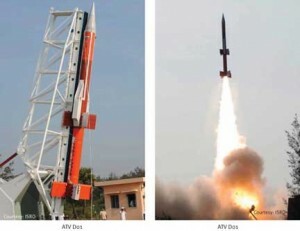 indian scientists launched an indigenously developed solid fuel rocket called the Advanced Air Defence (AAD) interceptor from Wheeler island to destroy a Prithvi target missile launched earlier from the Interim Test Range at Chandipur 72 Km to its North. 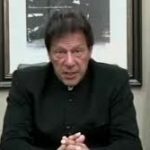 The split second precision with which scores of systems and sub-systems were made to function flawlessly drew global attention to this spectacular achievement. The intercept was all the more challenging because it was designed to occur within the thermally sensitive layer of the atmosphere. In the event the target was destroyed at 15 km altitude. Before that in Nov 06, DRDO scientists had done another successful experiment in which they had engaged and destroyed another Prithvi missile target. The interceptor missile in that trial was also another Prithvi, to whose original liquid motor, a solid fuel booster had been attached to give it an enhanced altitude capability up to 80 Km. It was christened ‘Prithivi Air Defence’ missile (or PAD). The experiment was intended to kill the incoming warhead before it entered the atmosphere. The interception occurred successfully at 50 Km above the ground level. DRDO they have claimed that in the next few years, India will have an indigenous ballistic missile defence system in place to intercept and destroy Intermediate-range (IRBM) and Inter Continental Ballistic Missiles (ICBMs). This is hyperbole of the worst kind. DRDO has announced that next April an AAD and a PAD would be fired together in an integrated mode against a single incoming target missile to increase the kill probability. By any reckoning, DRDO scientists engaged in this programme deserve great credit for this very significant achievement. After all there are not many defence research and engineering organizations in the world which can claim credit for being able to hit a bullet with a bullet. However as seen so often before, DRDO community can not be faulted for suffering from any exgatterated sense of modesty. Based on two successes, they have claimed that in the next few years, India will have an indigenous ballistic missile defence system in place to intercept and destroy Intermediate-range (IRBM) and Inter Continental Ballistic Missiles (ICBMs). This is hyperbole of the worst kind. Anyone even vaguely familiar with the enormous complexity involved in erecting Anti Ballistic Missile (ABM) defences would immediately recognize the customary overstretch attempted by the DRDO scientists community each time they get a faint smell of success. The inevitable failures to meet the stated goals then cast a deep shadow on all the good work done. Let us just very briefly look at the challenges involved in BMD. Ballistic Missile are essentially space weapons – in the sense that they traverse most of their distance to the target in space. They don’t really fly. They merely go up and down. Rocket motors attached to the missile give it a push ( in a single or multiple stages) to overcome earth’s gravity. After launch a Ballistic Missile arches up from one point and comes down on another. A typical Ballistic missile’s trajectory is a fourth as high as it is long. Therefore a missile even with a range of 100 miles reaches a height of 25 miles, i.e. outside the atmosphere. How high a ballistic missile reaches in its trajectory is a function of its range. The height attained also determines how fast it comes down on the target. An ICBM with a range of 6000 km and hence descending from a height of 1500 km could be reaching speeds up to 7 to 9 km/sec or 25 to 30,000 km/hr. A short range missile on the other hand would arrive on target at about 2 km/sec or 3000 km/hr. A missile trajectory from the point of launch to impact can be divided in four segments i.e. Launch or Boost phase, Post boost, Mid-course and the Terminal Phase. For any aerospace defensive system to be credible, it must be multi-layered, i.e. engagement possibilities must be spread throughout the flight path or trajectory of the target-right from its origin to the end point. It must also be robust enough to nullify countermeasures and have sufficient margin at the edges to be able to cope with incremental improvement in tactics or technology. As in conventional air defence, terminal defences are expected to cope with only residual threat which survives the attrition imposed by multilayered area defences. They can not be simultaneously the first and last line of defence. A full spectrum multi layered defence against Ballistic missiles entails both terrestrial as well as space based surveillance and kill systems with which engagement can begin as soon as the missile leaves the launcher. The process continues through the Post boost, mid course and finally the transatmospheric phase (both exo-atmospheric as well as endo-atmospheric) of terminal engagement. Technologically and financially, a stand alone, full spectrum Indian ABM system is and would remain well beyond India’s reach in the foreseeable future. In fact United States has spent hundreds of billions of dollars over the last six decades and is still experimenting with cutting edge technologies to make even a limited ABM system work. No such system is operational any where in the world – and none is likely any time soon. Quite understandably, Indian effort is concentrated only on the terminal phase because it is relatively simpler in definition and less demanding in technology. Except the United States which both for political reasons as well as confidence in its science continues to pay homage to comprehensive defence against Ballistic missiles, all other nations seeking a defensive response (like Israel and Japan) are considering only terminal defences. If terminal phase of the missile trajectory is loosely defined as when it begins to experience some significant air resistance (at about 40 km altitude) then its distance from impact point would vary with the distance it has traveled from the launch site. A longer distance missile would be approaching at a relatively shallower angle and hence would be farther away than its shorter range counterpart. Considering that a ballistic missile attack has to be assumed to be nuclear, and on impact with the interceptor threat of warhead activation is a distinct possibility, the intercept must occur well away from the target to avoid the devastating effects of air burst of a nuclear weapon. Interception in the exo-atmospheric regime i.e. before thermal effects due to atmospheric heating come into play are less daunting. However the flip side is that decoys become discernible only due to differential effect of atmospheric drag and heating on warheads and decoys. Modern anti-missile radars (like the Green Pine) are capable of detecting and accurately determining spatial position of. warheads well beyond warhead’s entry into the terminal phase. However interceptor missile ranges are limited on account of other exacting demands on their performance. The American Patriot (PAC3) has a range of only 15 km. Israel’s Arrow, the leader in its class is limited to 40 km. 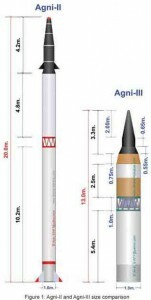 Indian PAD and ADD measure well in comparison However PAD’s first stage continues to comprise a liquid fuelled motor which imposes several limitations in terms of its readiness duties. Notwithstanding all the limitations of a defensive system, success achieved by our defence scientists community is still quite spectacular. However that should neither blind us to the remaining technological challenges nor to the political implications of Missile defence. Technologically what has been done this far is merely a ‘proof of concept’. From this juncture to fielding an operational system, there lies an enormous amount of development work which would consume much time, effort and financial resources. However whatever the level of success that may be achieved, a few related aspects must be kept in view while embarking on a BMD programme.. The first amongst them is that while there is much technical sophistication and expense involved in erecting even a limited terminal defensive shield, in the end it is quite easily defeated. Notwithstanding all the limitations of a defensive system, success achieved by our defence scientists community is still quite spectacular. However that should neither blind us to the remaining technological challenges nor to the political implications of Missile defence. The simplest way would be simply to overwhelm the system with a large number of warheads. It is much easier and cheaper to send one more warhead to the target than what is required to defend against it. Defence against a massive attack is simply not possible. Besides numbers with which defences can be saturated, the very high speed of interception also imposes a severe limitation on the maneuverability of the interceptor. Therefore if warheads do not arrive precisely on the predicted trajectory, the interceptors may not be able to close the gap for an effective kill. Interception geometries even in the terminal phase are calculated based on the post boost trajectory of the warhead. An early method to defeat anti-missile defences was to pack more than one independently targeted warhead in a single carrier vehicle. The technique still remains valid and Chinese are known to have this capability. Quite apart from actual number of offensive and defensive systems fielded, there is a real problem of perceptions too. Strong ABM defences sow a seed of doubt in the opponents’ mind regarding the deterrent value of his offensive forces, thus creating an impetus for force enhancement. It was deployment of ABM systems that created fears of an uncontrolled arms race which provided the impetus for the ABM treaty between US and the Soviet Union. US withdrawal from the treaty in 2002, has resulted in Russia testing new missiles and reworking systems to defeat the proposed American defensive shield. 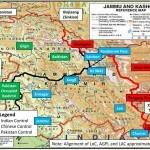 In the same vein it is unlikely that our ABM defences would go unnoticed by either the Chinese or the Pakistanis. Finally, in the absence of means to conduct constant long range surveillance to detect a hostile launch instantaneously and ability to track trajectory of the warhead, terminal defences can not guarantee optimal effectiveness. All other countries deploying terminal defence systems are integrated into a formal or informal alliance led by the US-who has the necessary technical means to give the required surveillance and tracking support. We have signed with the United States a 10 year ‘US – India Defence Relationship – The Defence Framework’. Clause H of agreement seeks to ‘Expand collaboration relating to Missile Defence’. Is it our intention to integrate our fledgling capability with the larger US plan to erect ABM defences? Considering the choppy seas through which the Nuclear deal is having to negotiate its passage, it is unlikely that there would be a political consensus to back this nature of relationship with the US. Former AOC-in-C Southern Air Command.